2 bedroom 2 bath condo. Ceramic/porcelain tile throughout the condo. 40 inch HDTV in living room (including HD cable service) with DVD player; HDTVs and DVD players in both bedrooms. We are a beach front unit. Nothing separates us from the water but a short walk on pure white sand. This 10th floor unit has spectacular views. A great vacation awaits you. Master bedroom has King-size bed with balcony access and private bath. 2nd bedroom has queen size bed. Very comfortable queen sleeper sofa allows two additional persons. Roll away bed available for an additional person. Spacious kitchen has everything you need to make a gourmet meal. (Coffee pot, toaster, blender, crock pot all available in unit.) We welcome children of all ages. On site security guard along with security camera monitoring around property. 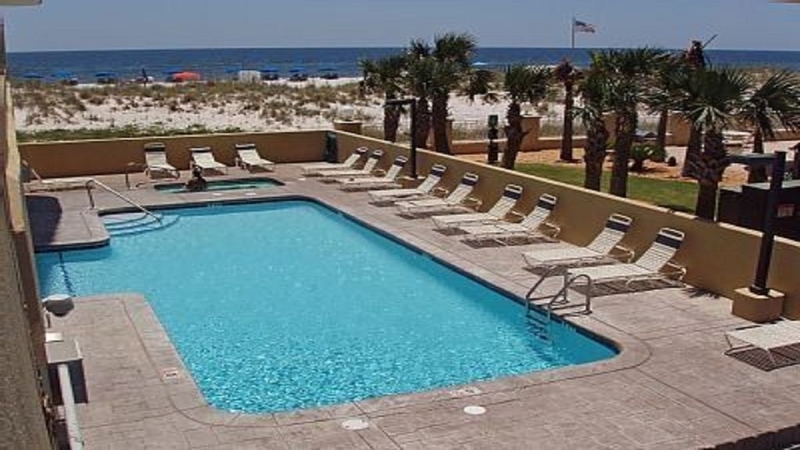 Island Royale is a high end Alabama beachfront condominium with extra features including a grill/BBQ area, fitness center, sauna, steam room, indoor/outdoor swim through heated pool and indoor and outdoor hot tubs! Island Royale has only 6 units per floor and under 100 units total. 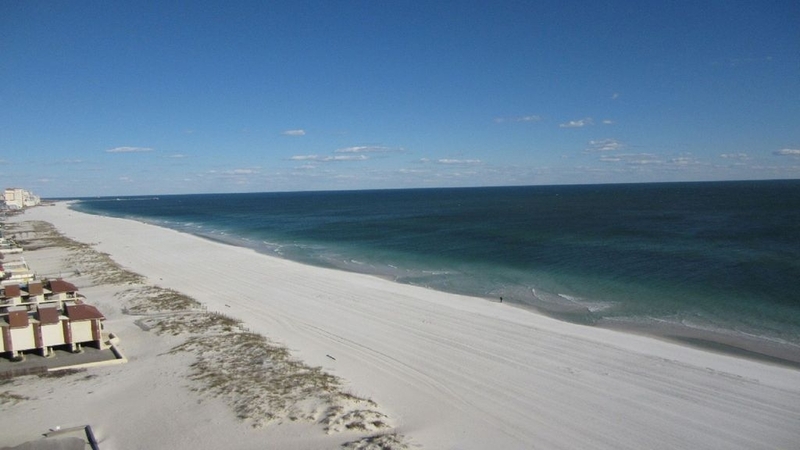 Private beach access gives you plenty of space to enjoy the beautiful azure water and white sand of Gulf Shores. A number of shops and restaurants are within walking distance including The Hangout. Bike to the Alabama State Gulf Park. Beautiful view of Little Lagoon from the front door. Located approximately 3/4 mile from Hangout, near Pier 33 Grocery store. Check in time is 3:00pm; Check out time is 10:00am. Parking pass required - can be purchased from on site security $25 per pass; limit 2. 100% refund if cancelled more than 30 days before check- in. $200 refundable deposit forfeited if cancelled with less than 30 notice. Cancellations that occur within 10 days of check-in will forfeit all rent and balance will used as a credit on a future rental. We really enjoyed our stay. It was very peaceful and refreshing. Kids had a blast on the beach and in the pool. Your place is absolutely beautiful. Thanks for allowing us to stay at your place. We look forward to coming again soon. This condo had a home like feel; very clean and had everything we needed during our stay. The owner was easy to deal with and responsive to our requests. 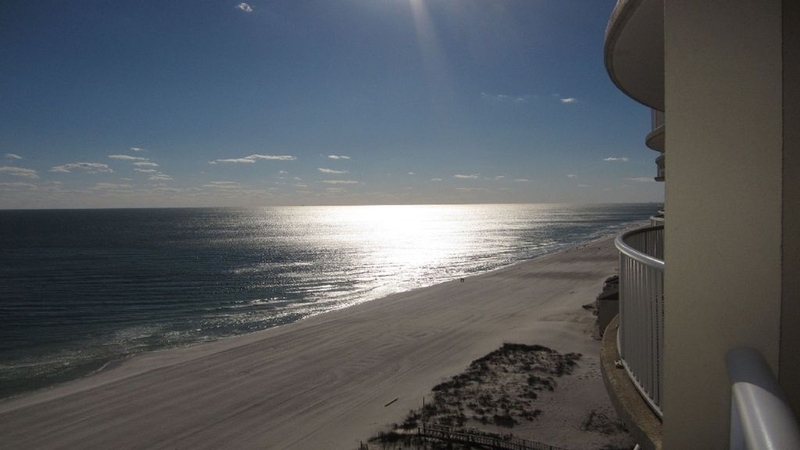 I highly recommend reaching out to Sandy for your stay in Gulf Shores. Thanks for allowing us to host you during your stay in Gulf Shores. This is a great place to stay. Had more than enough room for 2 adults and 3 children. Beds are comfortable and condo had everything we need. The owners were great to deal with. The view from the balcony is breathtaking especially in the morning when you can sit out and watch the dolphins. I really love the easy access to the beach. The beach is literally few steps away from the elevators which makes it so much easier to haul things back and forth when you have 3 kids!! I definitely recommend this condo to family with children or just a couples getaway. It’s great for everyone!!! Very clean and well decorated. The owner was easy to work with. Great view. Everything was as we expected and more. Loved this condo and the owner! This was our first time to Gulf Shores and we will be returning. We had an excellent time here. I wished we could've stayed here a little longer. The listing description is accurate. Everything here is just like in the pictures. I love how it is decorated and very clean . The owners are awesome. Sandy was here to answer any questions that I had. 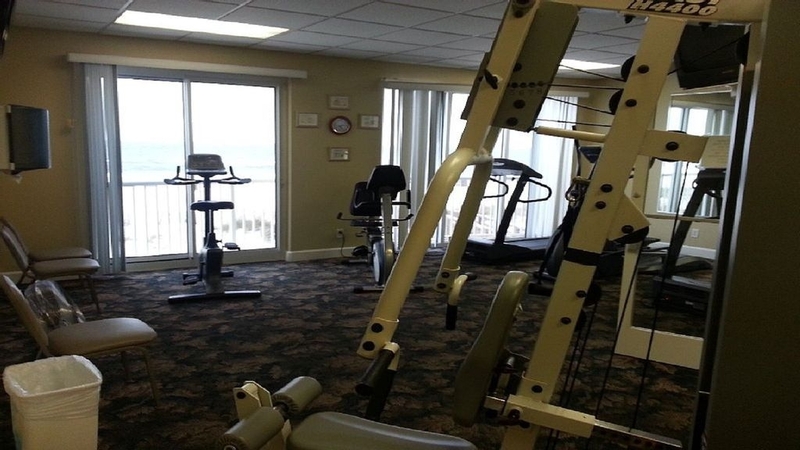 This condo is close to restaurants, shopping, grocery store and the Hangout. I would surely recommend this property to my friends and family. And, I will definitely be back! THANKS SANDY for making this a great 2017 vacation. We enjoyed our trip to Gulf Shores and our condo was beautiful with everything we needed. Sandy was amazing to work with and so helpful. Will definitely stay here on our next trip to Gulf Shores. My wife and 3 kids visited Gulf Shores for the first time and was not disappointed. The condo was very clean and open with enough room for my family. It has all the amenities needed such as stocked kitchen and laundry. The patio has a breathtaking view of the beach which only takes an elevator ride and a few steps to reach. The condo's beach is kept very clean of liter and the sand is just perfect! The kids loved the indoor/outdoor pool and hot tubs. 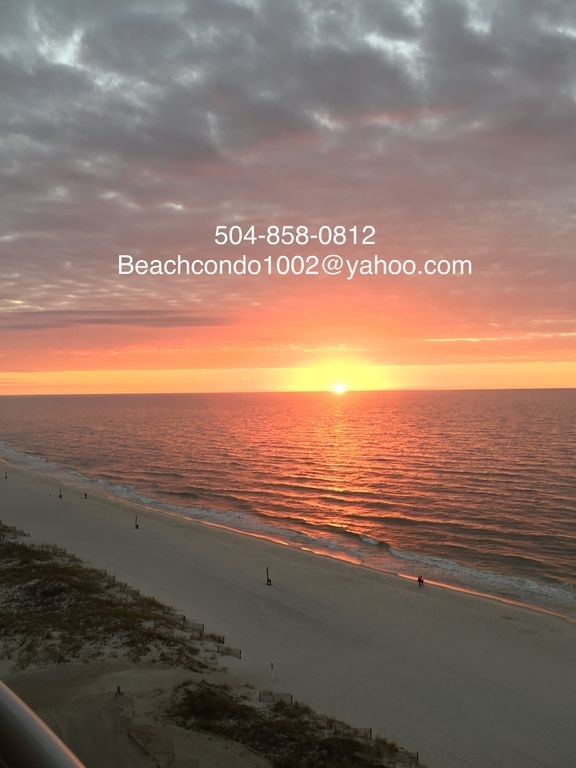 Condo is in a great location within walking distance from the hangout area and restaurants and has a large balcony for enjoying the 10th story ocean view. Space is very nicely decorated and has comfortable beds and furniture. Kitchen is fully equipped and everything was very clean. 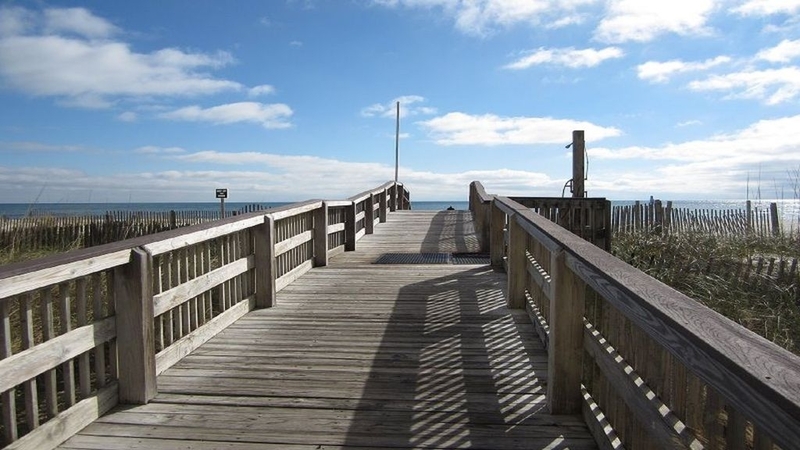 Great choice for enjoying the Gulf Shores area. WALK to BEACH & Hangout! pets ok,pool, NEW home!